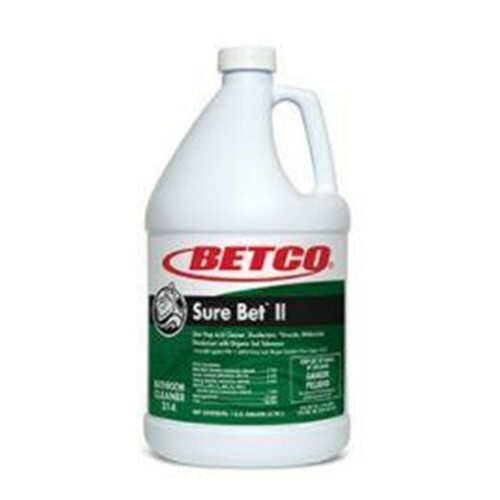 Sure Bet II disinfects, cleans, and deodorizes in one labor-saving step. This formulation penetrates and dissolves soap scum, ground in dirt and grime, mineral deposits, rust, lime soap build up, hard water stains, and kills household germs. Cleans and shines without abrasive scouring action. Deodorizes too, leaving your bathroom smelling fresh.